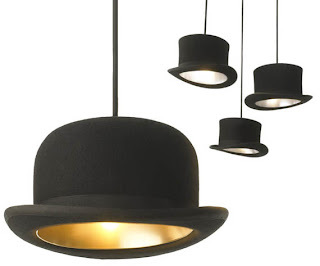 Upgrade your home decor from dull to dapper with Top Hat Pendant Lights. These neatly dressed light fixtures add a dash of whimsy and a dollop of sophistication to any room. These lampshades are made of actual top hats lined with anodized aluminum for an authentic British Gentleman charm. These are the kind of things you wish you had a room for, very novel and endearing and can definitely make for an entertaining night if your friends arrive drunk and wonder why there are floating hats in your foyer!